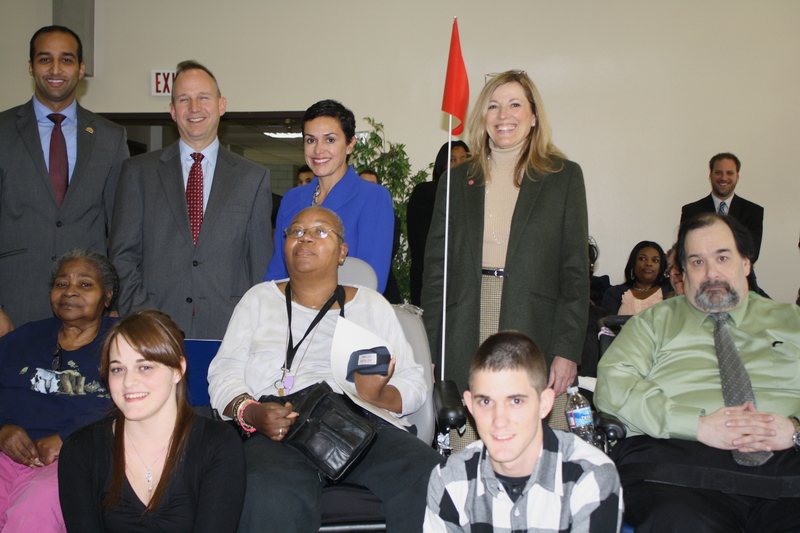 December 19, 2011 – (DOVER, DE) – On Monday, December 19th, the Delaware State Housing Authority (DSHA) hosted an event to celebrate the stories of five individuals who are moving from long-term care facilities and foster care to rental housing with the help of DSHA’s new State Rental Assistance Program (SRAP). The objective of the SRAP program, which was launched in August 2011, is to assist low-income individuals who require affordable housing and supportive services to live safely and independently in the community. Sandra Johnson and Alfredia Forrest —They are leaving Emily P. Bissell Hospital and are currently looking for new homes in or near the Wilmington area. John Talone — He is leaving the Delaware Hospital for the Chronically Ill and plans to move to the Claymont area. 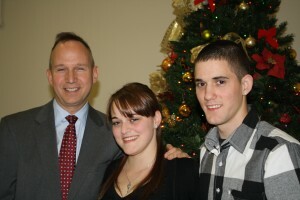 Matt and Mindie Stevenson — 19-year-old twin brother and sister who are leaving foster care. They are moving in as roommates in New Castle. Department of Health and Social Services (DHSS) and the Delaware Department of Services for Children, Youth and Their Families (DSCYF). Within the first five months of the program, 129 applications have been received and 88 SRAP vouchers have been approved. Several studies conducted in the last five years have indicated that one of the most pressing housing issues facing the State of Delaware is homelessness of individuals who need long-term stable housing and comprehensive supportive services. Along with Delaware’s Ten-Year Plan to End Chronic Homelessness and Reduce Long- Term Homelessness (2007) and the working group report Housing Delaware’s Extremely Low-Income Households (2009) – which identified a need of over 1,000 rental subsidies to adequately house this special needs population – the Homeless Planning Council conducts a Point in Time (PIT) study each year. 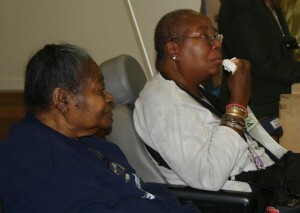 The PIT conducted in January 2011 estimated there are nearly 6,600 homeless persons in Delaware this year. The SRAP program will help to fill this need and also benefit the State of Delaware, who will no longer need to house individuals who are able to live independently in the community or are ready to leave foster care with appropriate supportive services. DSHA estimates that it will cost between $8,000 and $10,000 per household per year to provide rental assistance with the SRAP program. In contrast, it costs $270,000 per year for the State to house an individual at the Delaware Psychiatric Center, nursing home care costs $70,000 per person per year, and foster care costs the state $24,000 per year for the average 2-child family. Many of these families and individuals are often in the state’s care because they cannot find or afford safe and decent housing. $8,450 per family with children in foster care.